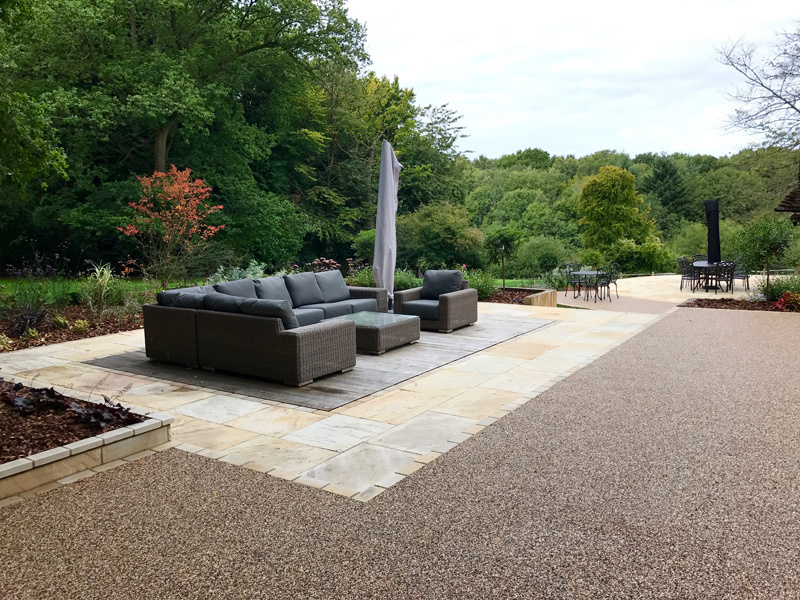 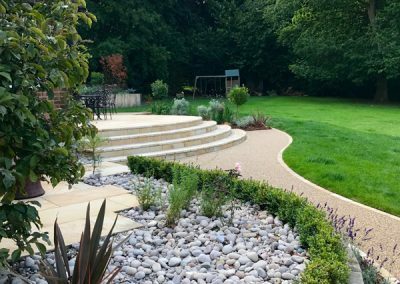 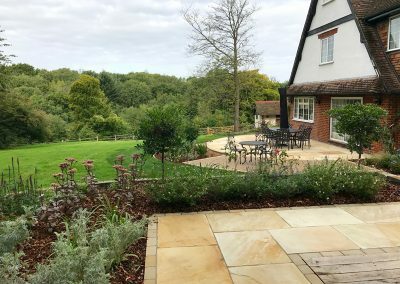 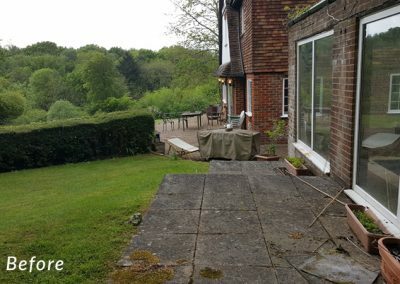 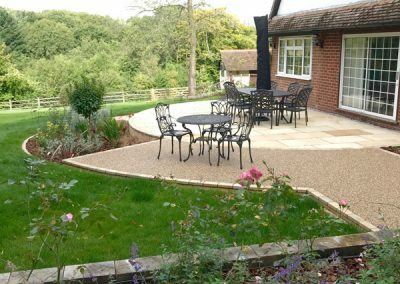 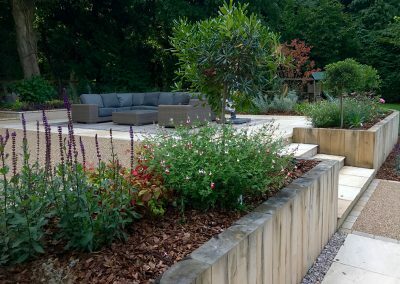 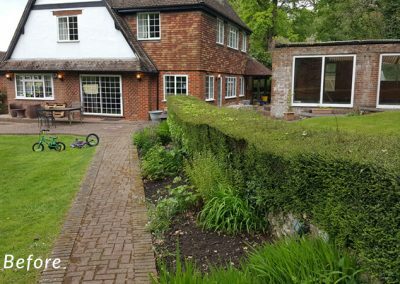 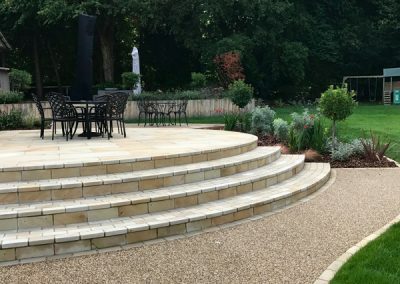 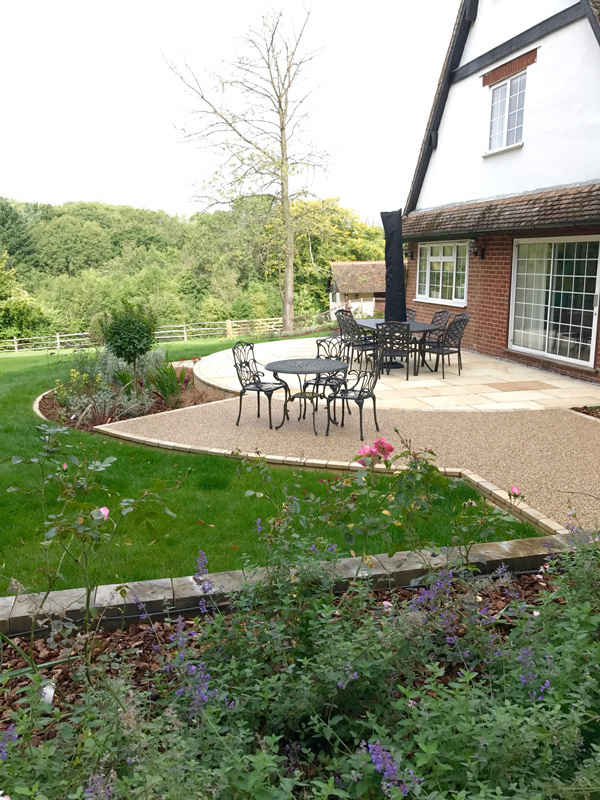 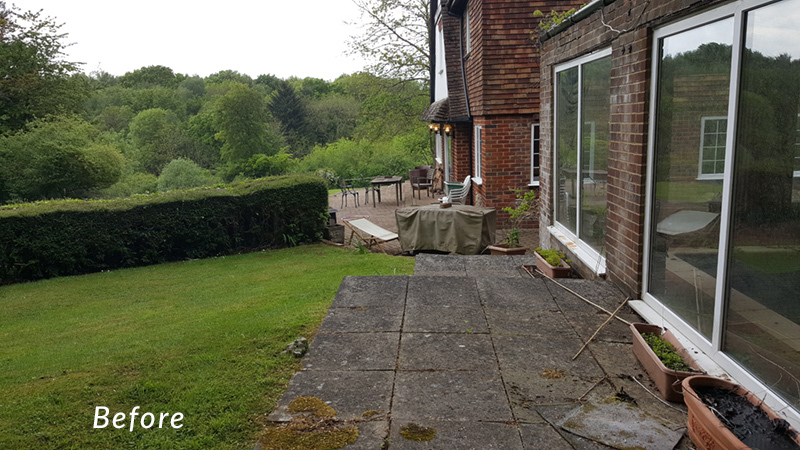 The clients who own this beautiful picturesque plot in Knatts Valley, Sevenoaks were keen to update their garden and make the most of the views into the valley. 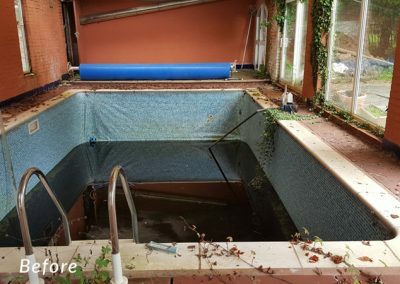 The original garden was tired, disjointed and had a large derelict swimming pool / building close to the house. 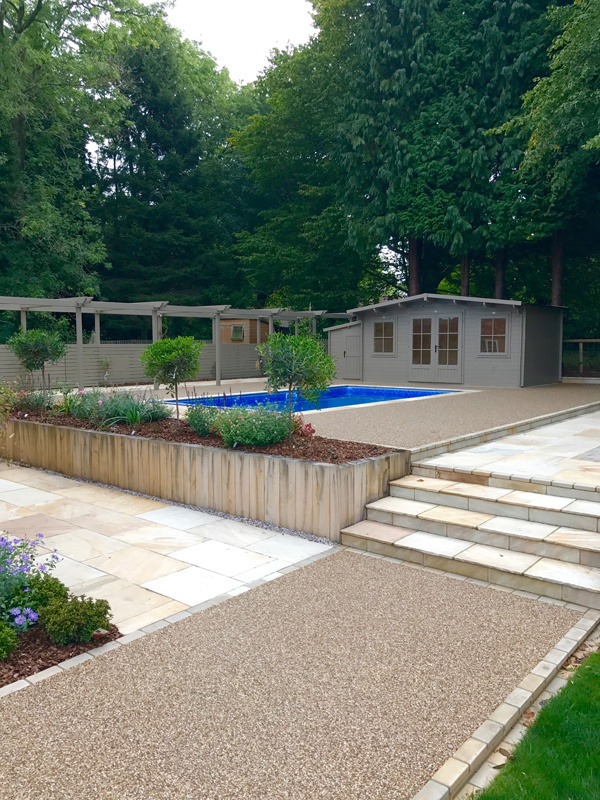 The brief was to remove the old swimming pool building and open up the space to create a large family re-furbished swimming pool area with various seating / paving areas around the rest of the property. 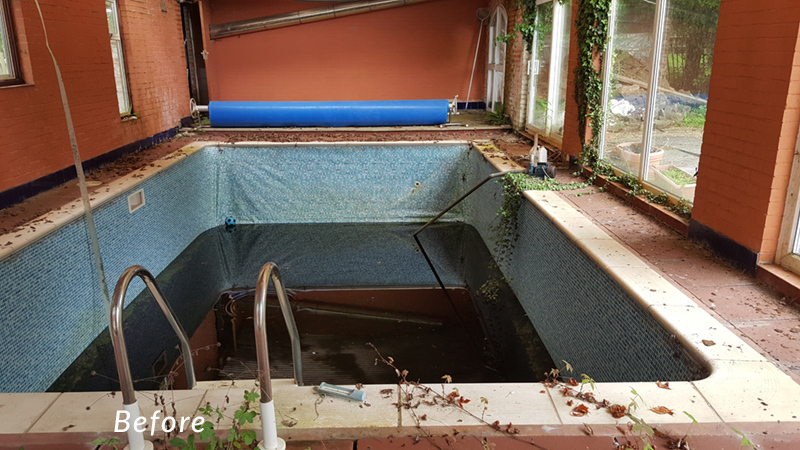 The surrounding areas of the house had to be completely demolished before the new work could start. My aim was to create a modern looking space while ensuring it stayed true to its natural surroundings and blended with the characterful style of the property. 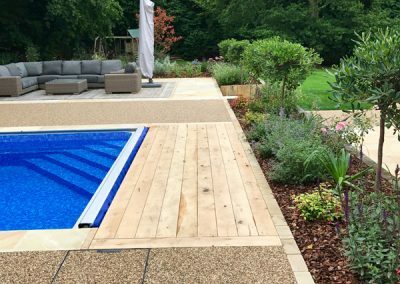 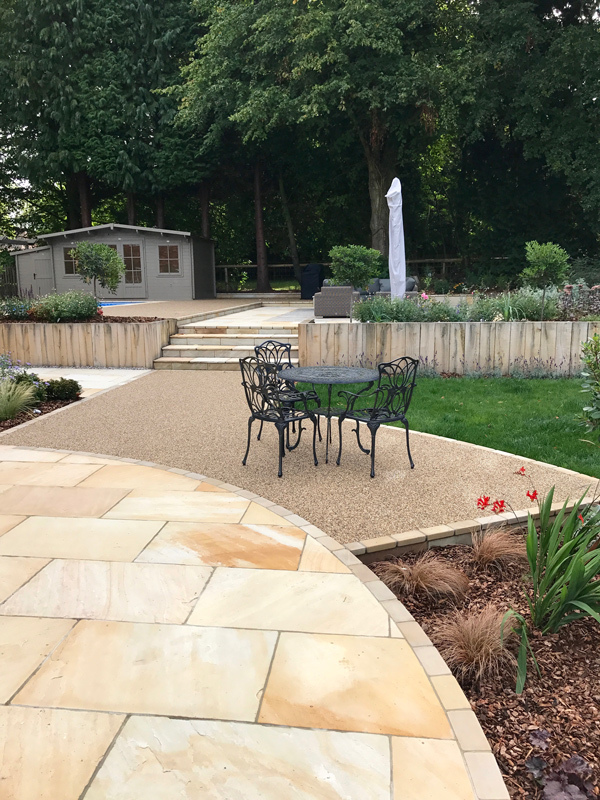 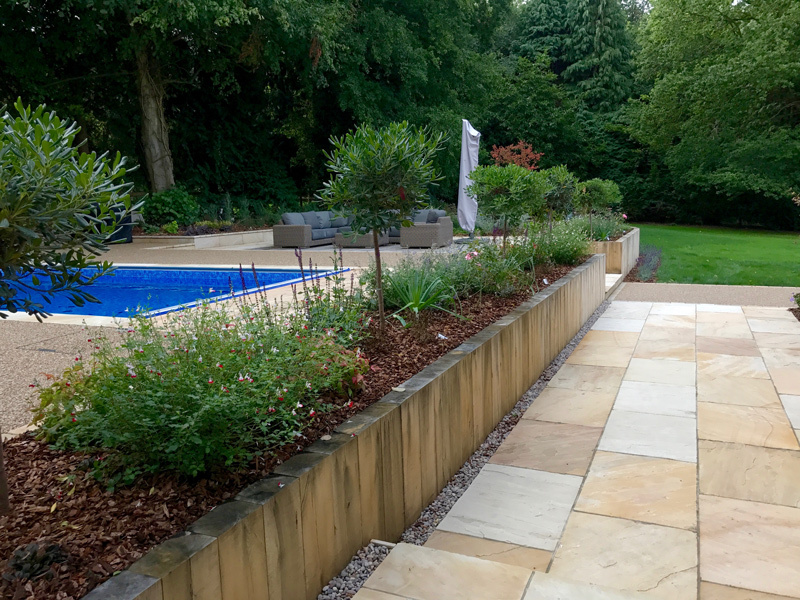 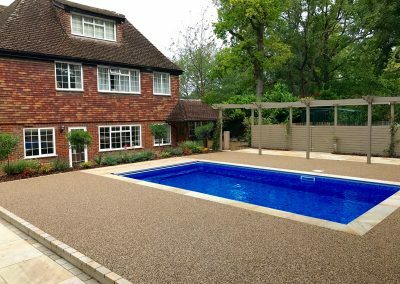 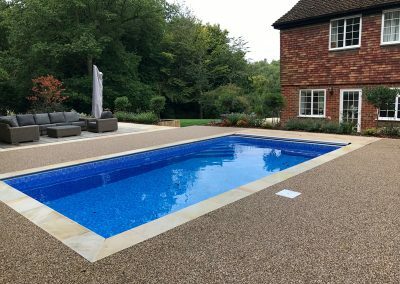 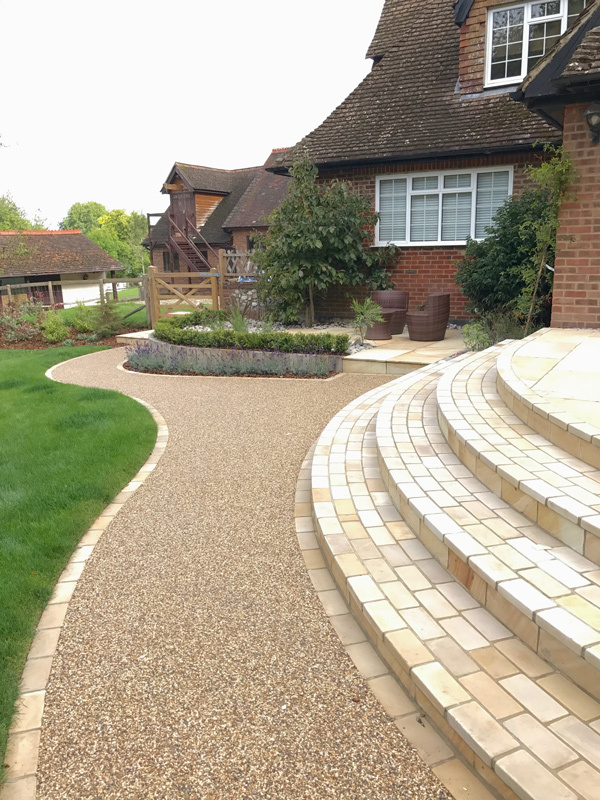 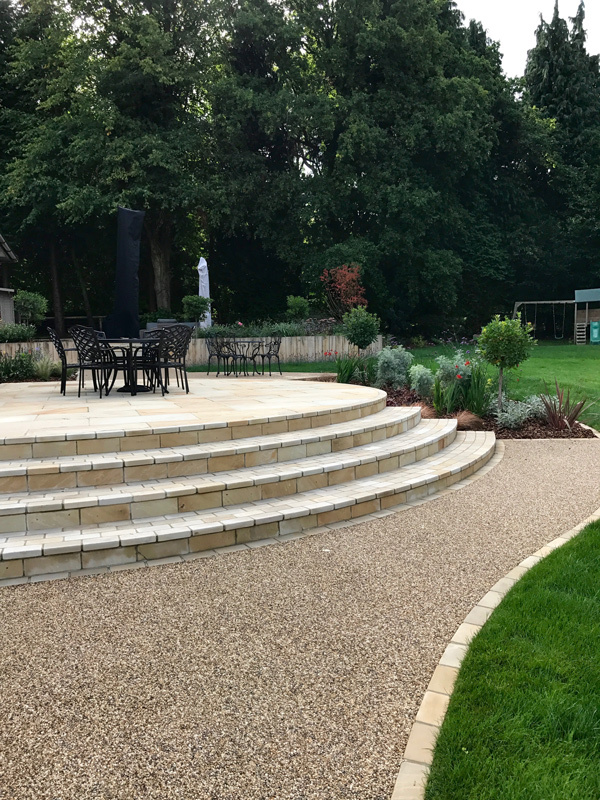 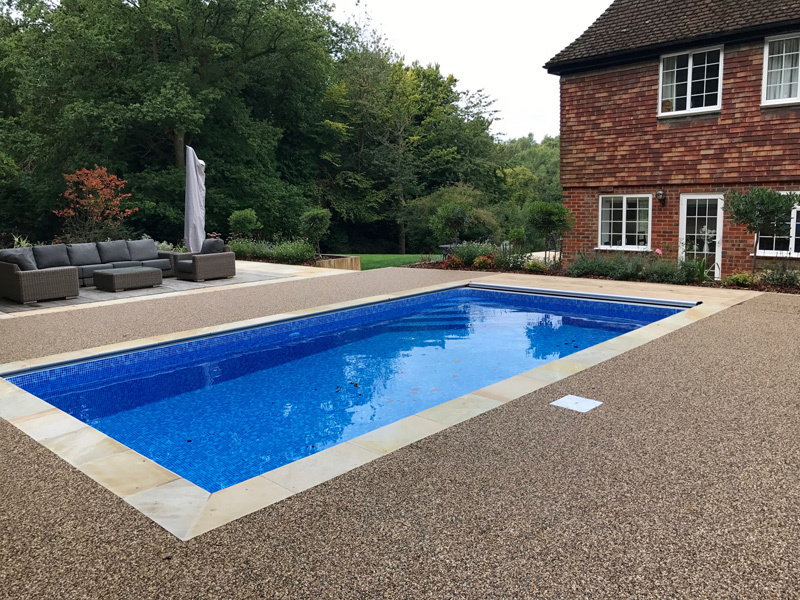 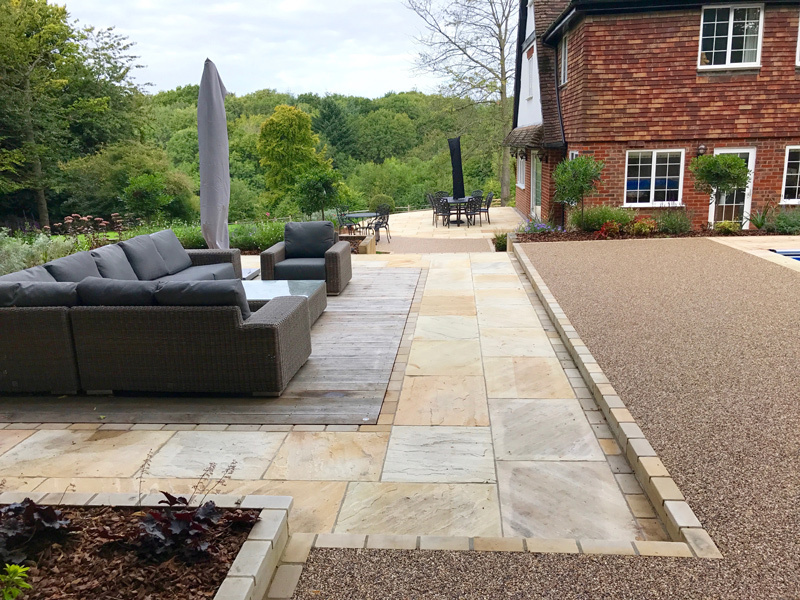 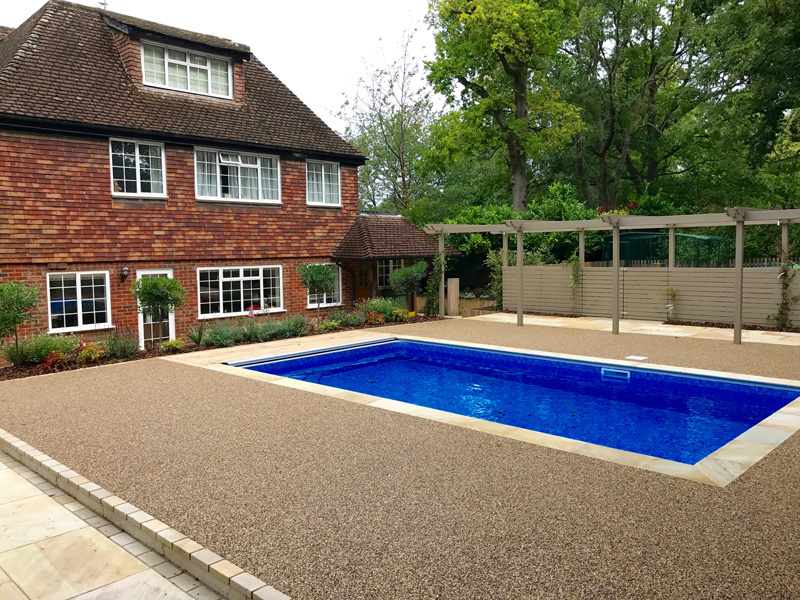 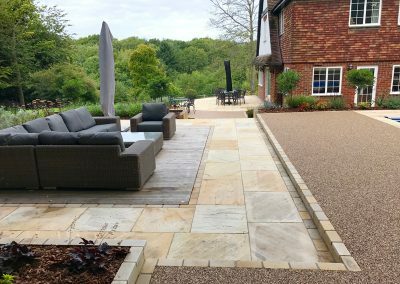 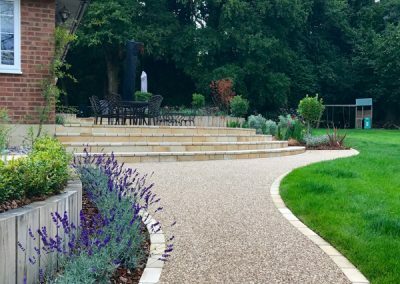 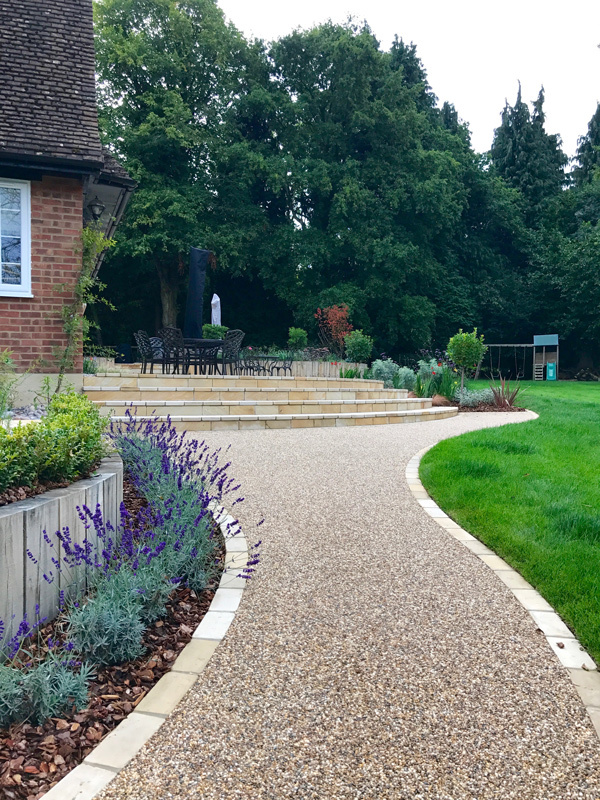 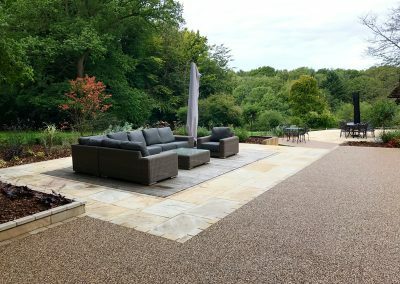 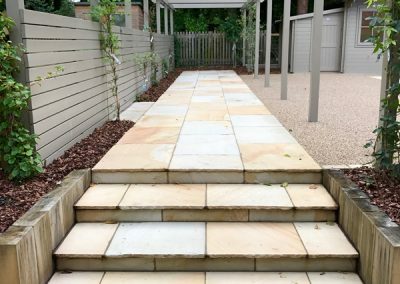 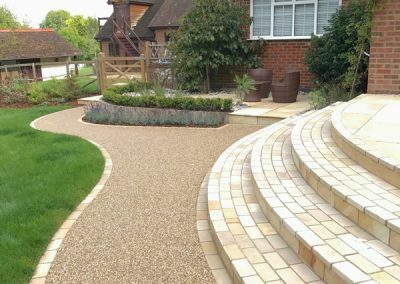 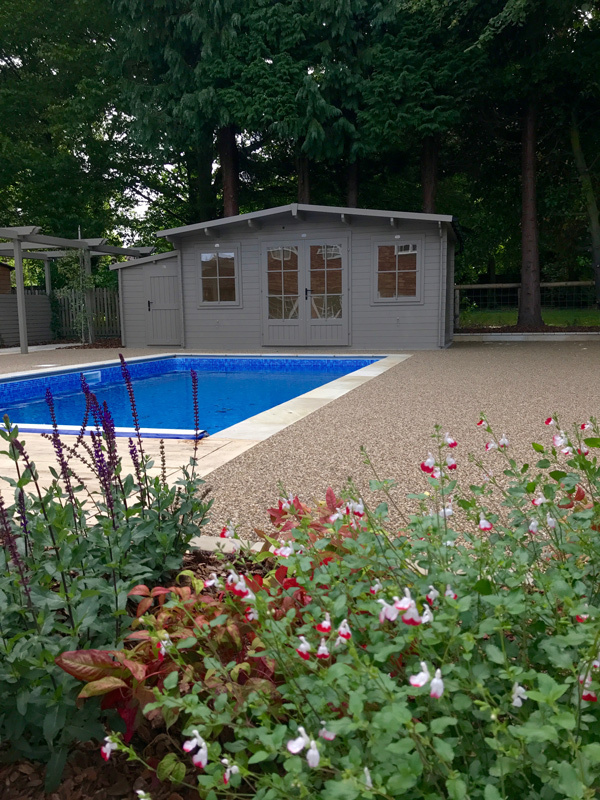 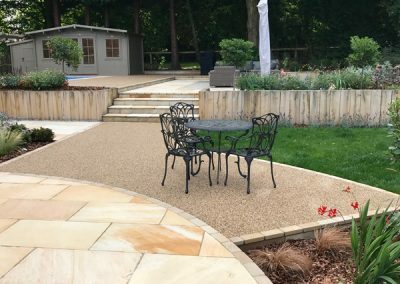 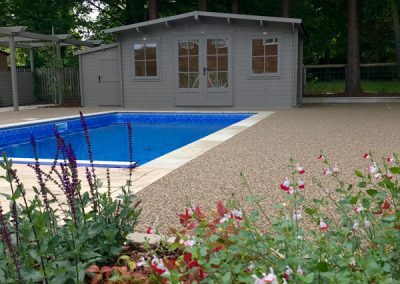 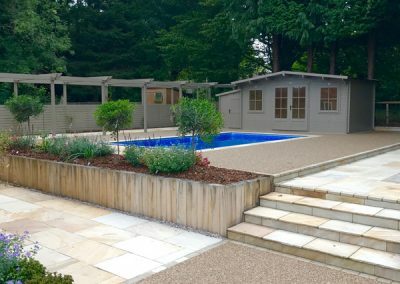 Natural Riven Sandstone was used for edging and paving areas while resin bound gravel created a clean contrast to the rustic Oak retaining walls. 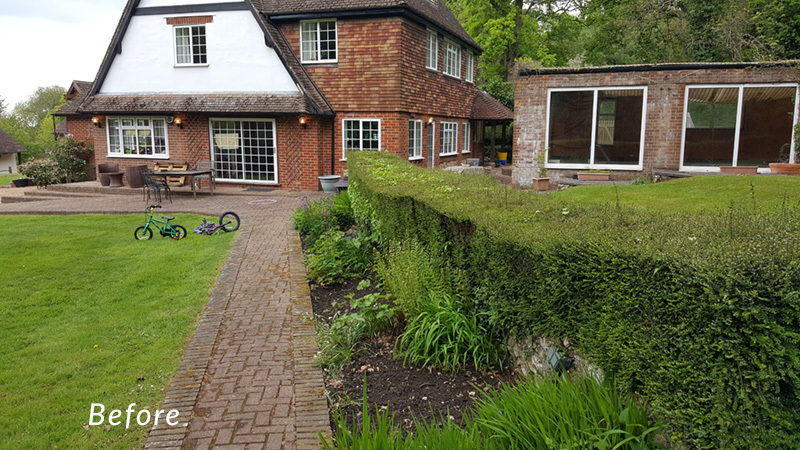 A painted pergola was designed into the scheme in order to create a sense of scale – this will be covered with softening climbing plants in time. 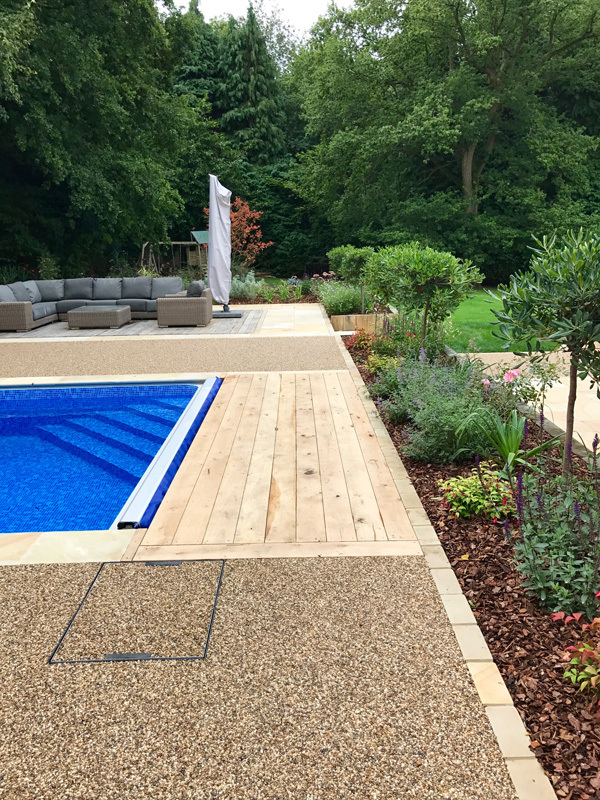 Horizontal screening timbers and a timber pool house were installed and painted in the same tone which enabled these features to blend nicely into their surroundings. 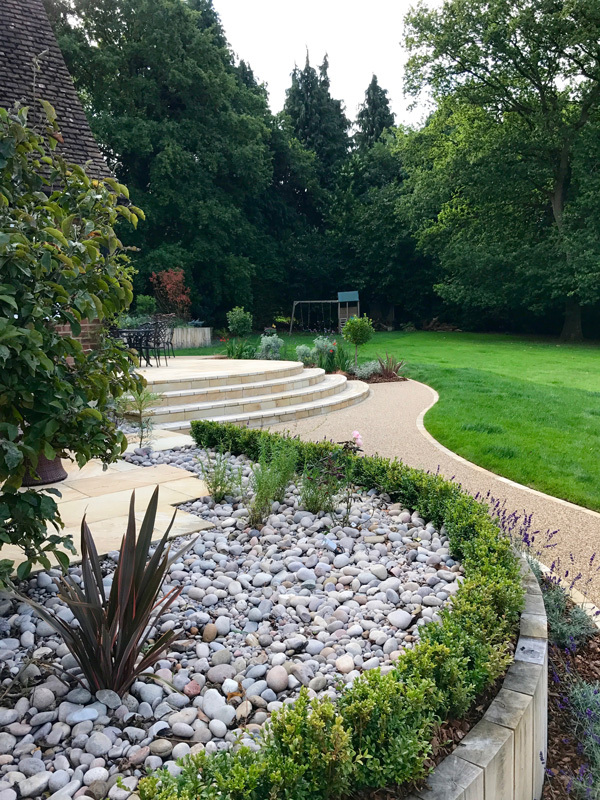 A fully automated lighting scheme was designed and installed for evening entertaining and upon completion a full planting scheme was designed and implemented in order to complete the overall look. 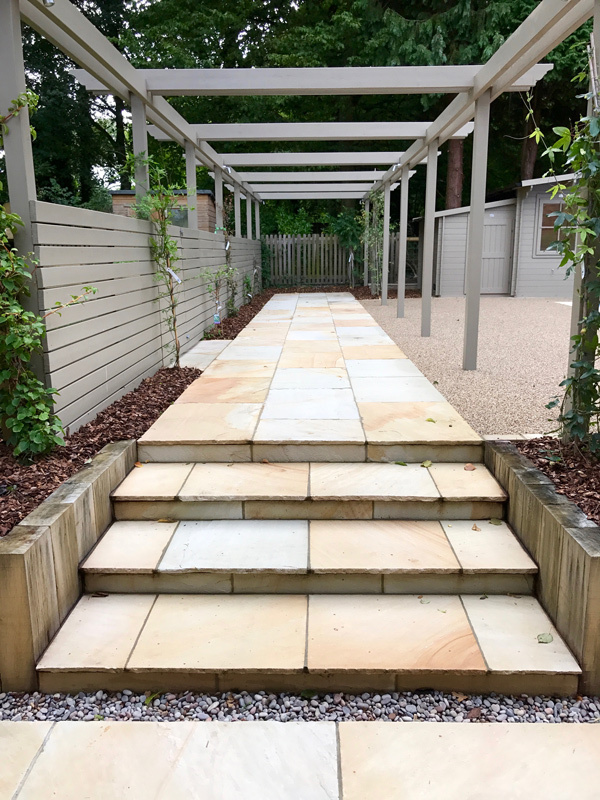 Main Materials: Riven Sandstone paving/edging setts, Oak and resin bound gravel.